CHICAGO (WLS) -- Around the world and here in Chicago people are celebrating Easter. 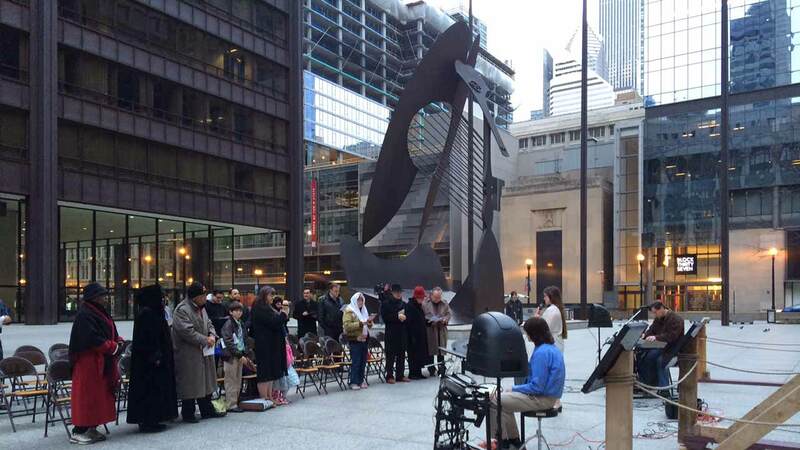 Several people gathered for a sunrise Easter service Sunday morning at Daley Plaza in Chicago's Loop. The service included music, a 19-foot-tall cross draped in white and an image of Jesus. Easter is considered one of the most important days in the Christian calendar. It commemorates the belief that Jesus rose from the dead three days after he was crucified.